SANDY, UT – Telarus LLC, creators of GeoQuote and award-winning master agent of business data, voice, and cloud services, today announced that it has entered into a technology distribution agreement with Thrive. With this new agreement in place, Telarus’ network of over 4,000 technology brokers will be able to offer their mid-to-large enterprise clients Cloud, Cybersecurity, Networking, Disaster Recovery and other managed services to help compliance-driven businesses solve complex IT issues. Headquartered in Foxborough, Massachusetts, Thrive has offices in New York City, San Francisco, Charleston, SC, and Maine and is ranked among the top 100 on CRN’s list of IT Managed Security Service Providers. Their Mission is to become the most respected and referred technology solutions firm serving mid-market, enterprise, and emerging customers all over the United States. 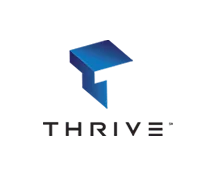 For more information about how to add Thrive’s consulting and managed security services to your portfolio, please reach out to Telarus by visiting our web site, www.telarus.com, or by calling our new partner hotline at 877-346-3232. Built for You, Telarus is the largest privately-held technology services distributor (master agent) in the United States. Our dynamic agent-partner community sources data, voice, cloud, and managed services through our robust portfolio of 170 leading service providers. We are best known for our home-grown software pricing tools and mobile apps that are unique in the industry. To help our partners grow their businesses even more, we’ve assembled the best support organization in the business, which includes SD-WAN, Cloud, mobility, contact center, and ILEC specialty practices whose primary goal is to help our partners identify and design the right technology solutions for their customers. To learn more about the Telarus opportunity, please visit www.telarus.com, or follow us on Twitter @Telarus.